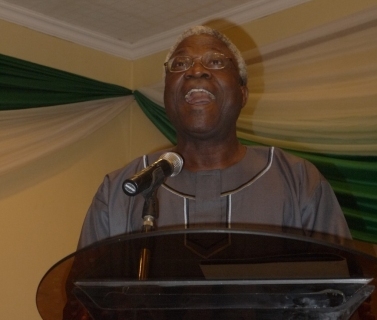 Renowned poet, Prof. Niyi Osundare has dismissed claims he has been bought over by the government by the Nigerian National Merit Award (NNMA) recently conferred on him for academic excellence. “Nobody is keeping me quiet!” Osundare, who is a Professor of English at the New Orleans University, United States of America said. Speaking at a lecture organised in his honour by the Ibadan Committee for Truth and Development (ICTD), Osundare noted that: “Nigerian government didn’t give me award; it’s the NNMA committee that recommended me; it’s a peer-reviewed award. We were many academics on the list before I was chosen. This is the only award regiment in Nigeria that I recognise. “No award is ever won by one person. We’re all here celebrating it. We must learn to celebrate the best in us. This is a beautiful country. We must not judge Nigeria by the thieves in Aso Rock and in the government houses in the states. There’s so much beauty in Nigeria,” the professor said. Speaking further, Osundare paid tribute to some of his colleagues, who he described as affirmeds of democracy. The professor also lamented the condition of Nigeria’s educational system, saying that the country was going through profound illiteracy. “Nigeria is going through profound illiteracy. There are no laboratories, no libraries. Look at the first class students universities are producing in their large numbers; is this possible? Abroad, they complain to me about the standard of our students. We’re short-changing our students. This is a dying country; there’s too much illiteracy in our country. It’s what is producing sycophancy in high places. “The future of this country is in the hands of teachers. Don’t destroy this country. You can’t chase money and be teachers at the same time. I feel ashamed when I read some professors’ papers and see errors that should have been filtered out in their second and third years. Nigerian educational system has lost its filtering power. In Ekiti where I come, we used to boast of mental infrastructure, not stomach infrastructure, with the quality of those we produce. The event was chaired by Prof. Biodun Jeifo of the Harvard University, U.S.
Also present at the event was a former General Manager of the National Theatre, Lagos, Prof. Femi Osofisan, who affirmed Osundare’s position on the award and said his commitment, as a critic, was not in doubt. “There are different kinds of awards like the OONs, MONs, MFRs for brigands and such co-travelers. In NNMA, there’s no government interfering with it. Does it make you a lapdog or a spokesperson of government? No,” Osofisan said. Its even a worse & pitiable state, when professors with their long knowledge of history clearverly try to decieve the younger generations with clearver words, every sane & read Nigerian above of the ages of 50, knows the truth about this nation & should be bold enough to tell us the truth about why the nation is where it it today & equally be able to clearly appreciate or condem any of the actors, not standing in the fence to betray brotherly trust once again.